Nurse Courier 3 (NC3) meets the growing needs of today's health care environment, providing both effective communication solutions as well as simple-to-use equipment for patients and staff. NC3 is now UL 1069 Listed for a broader application pool including general and critical areas in hospitals. 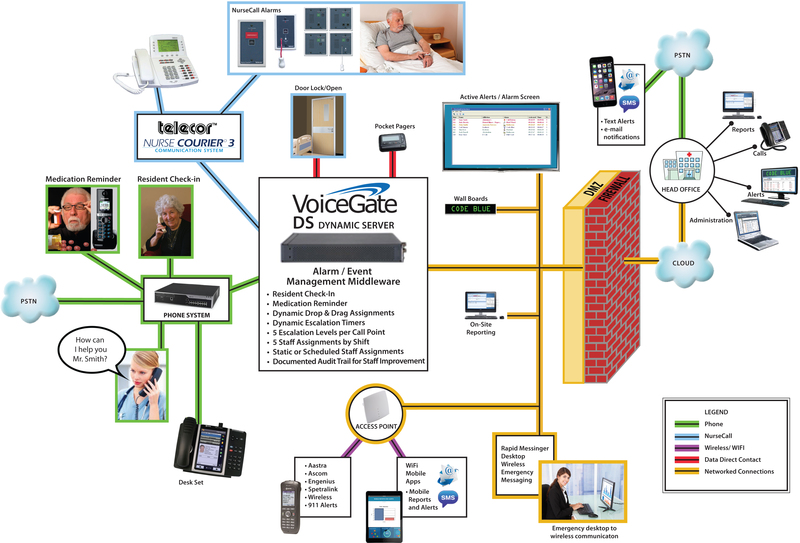 Designed for health care, retirement, assisted living, and long-term care facilities, Telecor’s Nurse Courier® 3 system offers a total communications solution. Whether used as an individual system, or as part of a network of multiple systems, the Nurse Courier® 3 can meet today's needs and grow to accommodate future expansion.